- A spotlight has a narrow beam that concentrates light on a small area. -Integral structure molding, excellent heat conduction and thermal radiation. -Mounting bracket can be adjusted in different angles. 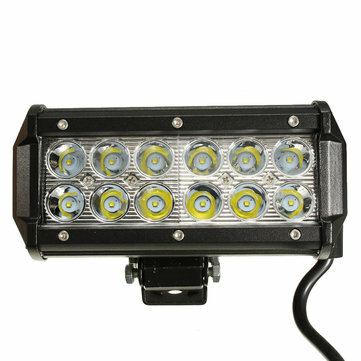 -Optional beam: Spot beam-Wiring: RED-12V positive, BLACK-12V negative.